Franco Zeffirelli’s productions are legendary—and for good reason. This new production of Puccini’s intensely dramatic opera had opened only two weeks before this performance and the excitement is palpable. Zeffirelli captures the overwhelming grandeur of Rome, as well as the dark undercurrent of decadence and corruption in the drama. 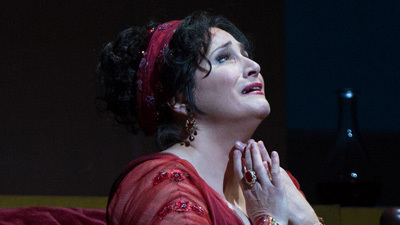 Under his direction, the cast of great singing actors crackles with intensity. 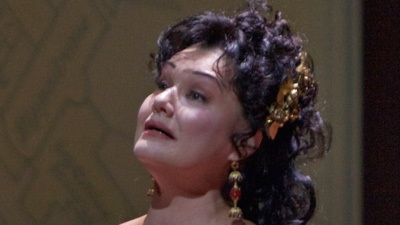 Hildegard Behrens as Tosca, the passionate singer in love with Cavaradossi (Plácido Domingo), who agrees to a night with Scarpia, the evil chief of police (Cornell MacNeil), in exchange for Cavaradossi’s freedom. Giuseppe Sinopoli conducts.